Building new homes and neighborhoods in Port Ludlow, WA. Westharbor Homes – is a CAPS certified home builder specializing in new neighborhood construction, custom homes, and specialty remodel projects. Currently developing two new neighborhoods in Port Ludlow, WA. Port Ludlow is close enough to the city, but far enough to enjoy an active and tranquil lifestyle. Located 90 minutes from Seattle and under 40 minutes from Sequim and Port Townsend, it offers all the charm and beauty of the Pacific Northwest, at a more leisurely pace. 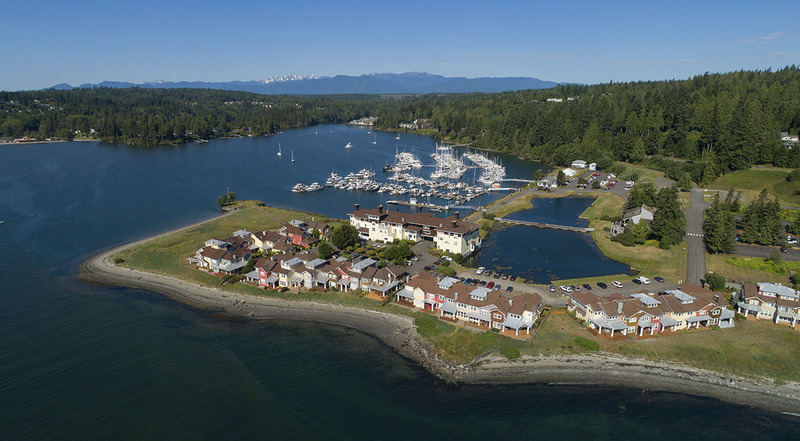 Ludlow Cove Cottages is a waterfront neighborhood of 42 cottage styles homes that are built using 360-degree architecture and are placed on home sites that offer the best possible views and vistas. This neighborhood is just about sold out, but still has great home sites available. All home plans in the neighborhood offer open concept floor plans, charming front porches and master suites on the main level. Move-in ready homes are available in this neighborhood. Olympic Terrace II Port Ludlow’s newest neighborhood of new homes. Nestled off Teal Lake road, this neighborhood offers direct access to some of the best hiking trails in the area. These homes are situated on large, low-maintenance home sites and offer picturesque landscape and mountain views as well as enchanting sights and sounds of nature. Move-in ready homes are available. Westharbor Homes is a CAPS certified builder who specializes in new neighborhood construction and is committed to exceptional craftsmanship and customer service. In Port Ludlow, you’ll be welcomed when you arrive and embraced when you stay.